Everyone has their own view of the world. Though each set of eyes sees the world in a different light, there is the universal truths: Everyone dies, and everyone leaves something behind. A legacy, something that ties you to the world, even after your body has been long gone. A young honor-bound assassin, a weathered king, a princess seeking glory, and a prince that seeks power. Each seeking to discover what legacy they are creating. Unbeknownst to them, the wheels of fate have sprung into motion, and not only will their lives be at stake, but their legacy as well.It all began with Alarin's most important contract; "Kill the king." 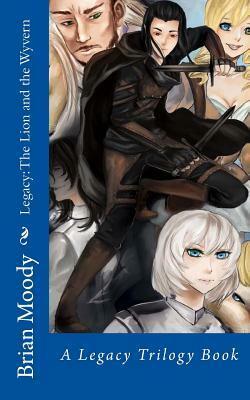 Brian Moody is an up and coming author in the novel world. A fan of Fantasy books since he was a child. His inspirations sprung from many late nights reading through worn-out copies of the Redwall novels or The Hobbit. Publishing his first fantasy novel has been a dream come true. Today he continues to write, working on finishing his first trilogy and to continue to write stories through the genre he loves.